Bake 40 to 45 minutes or until toothpick inserted in center comes out clean. Run knife around side of pans to loosen cakes. Cool pans on cooling rack 5 minutes. Place heatproof serving plate upside down over pan; turn plate and pan over. Remove pan. Repeat with remaining cake. Serve cakes warm with whipped cream. 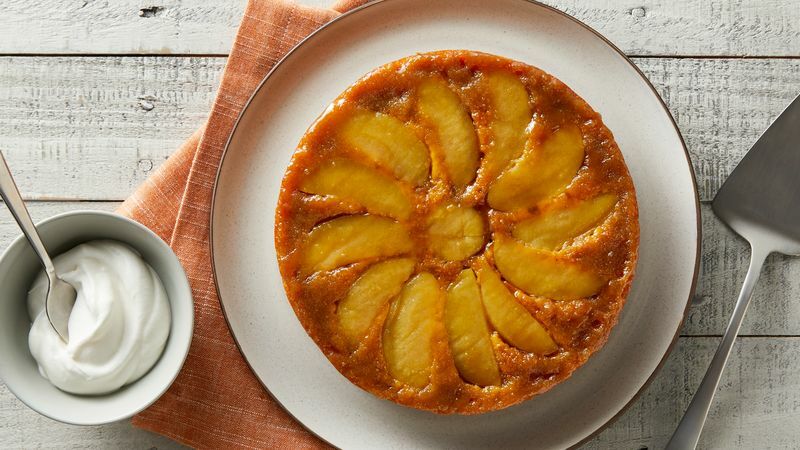 Braeburn apples were used in this recipe -- choose your favorite baking apple, such as McIntosh, Granny Smith or Jonathan.